Hong-Kong is the top destination for expats, but it is also the most expensive country in terms of international health insurance. Pacific Prime, an international health insurance broker, have put together a report entitled “The cost of health insurance in top expat destinations”. This report compares the prices of three types of health insurance plans, i.e individual, couple and family plans, offered by 11 international insurance providers to calculate the average prices in the top 6 expat destinations: Hong Kong, China, Singapore, UK, UAE and Thailand. For the purpose of this blog post, I have collected and grouped together all the information regarding family plans. Please note that all figures collected from the report are based on an average family, i.e. one male, one female, and two male children aged 37, 37, 10, and 5 respectively. Plan 1 – The most basic plans that include world-wide inpatient coverage a zero deductible excess*. Plan 2 – World-wide inpatient coverage and outpatient and zero deductible excess, i.e. GP visits, medicine, physio and specialist treatment. Plan 3 – World-wide inpatient and outpatient coverage, i.e. GP visits, medicine, physio and specialist treatment, maternity care (pre and post natal) and dentist treatment with zero deductible excess. *zero deductible excess: the amount of expenses that must be paid out of pocket before your insurance starts covering the costs. 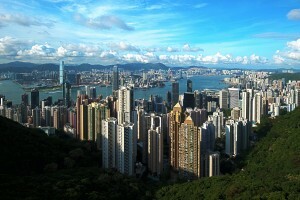 Around 300, 000 expatriates are currently living in HK. Due to the high cost of living and volume of insurance plans purchased, HK has reached the highest average cost for family health plans. In a fast changing environment, HK has become a firm favourite amongst Europeans, resulting in a large demand for premiums. It is worth noting that there are 11 private hospitals all offering a high level of care. There are currently 240,000 expats living in China. However, access to public health facilities for expats is still somewhat restricted. Indeed, in most establishments, expatriates continue to struggle to be understood in English. For this reason, expatriates prefer to opt for private healthcare, despite the added expenses. Singapore has become one of the most important financial hubs, especially in terms of finance, shipping and trade. Around 300,000 people in Singapore are foreigners, implying a large demand for health care. Usually all citizens have free access to health coverage, but unfortunately expatriates are not granted the same privileges. The UK has an efficient health public system: the National Health System which allows all residents, including expatriates to have easy access to health coverage. However, it is important to note that the National Health System does not always cover the costs of private facilities. The UAE attracts expatriates from all over the world, looking for a better quality of life or business success. Considered to be the country with the highest standards in terms of health care, the region has seen a rising number of expatriates deciding to settling down. This is reflected in the high average costs for family health plans. Fortunately, all health facilities are well-established in order for expatriates to feel safe and secure. Well-known for its manufacturing industry, Thailand is more popular than ever. Pacific Prime has estimated that there are between 200,000 and 400,000 expatriates living there. The nationals have access to a free public health system however, expatriates must pay to receive the same treatment. Furthermore, the government have implemented strict measures in order to block access to expats. It is, therefore, highly recommended for expatriates and their families to pay for international health insurance that cover the expensive costs in private hospitals.